Accepting what Kenneth Arrow once said that “there seems to be little room for the unequal distribution of a vital commodity such as health care in a just society”, few would argue that our current system is ethical. On the contrary, it seems to be a system in which the poor have a significantly narrowed access to medical care in contrast to the wealthy, including pharmaceuticals. Drugs are indeed special goods, different from other marketplace commodities, but also need to be made widely available to the diseased community . Especially, in the case of rare diseases even the wealthiest patients cannot afford their medication. Rare diseases, including the well-known multiple sclerosis and cystic fibrosis, are characterized those that affect fewer than 200,000 individuals in U.S. and in most cases less than 6–7% of the developed world. Today only 10% of patients with rare diseases have access to a treatment. Isn’t that percentage extremely low? One could say that it concerns only a small group of people, but how does this make us equal in health care? There are 350 million people worldwide who suffer from a rare disease and 50% of them are children. Such numbers imply that the treatment costs rise inevitably, but new studies offer promising results regarding the alternative therapies of rare diseases, and more specifically a therapy for multiple sclerosis . Multiple sclerosis or MS is a chronic neuroimmunologic disorder of the central nervous system involving the brain, the spinal cord and the optic nerves . The most common problems that someone faces when living with MS is walking difficulties, spasticity, vision and bladder problems as well as many other symptoms . According to worldwide statistics there are 2.3 million people suffering from MS nowadays. Fifty percent of them are unable to continue working beyond 10 years of the disease onset or to walk beyond 25 years. Despite an annual cost of approximately $47,000 per patient to treat MS, no therapy approved by the U.S. Food and Drug Administration has been shown to significantly reverse neurological disability or improve the quality of life . The lack of scientific knowledge and quality information on MS often results in a delay in diagnosis. Moreover, the need for appropriate quality health care engenders inequalities and difficulties regarding access to treatment and care. This often results in heavy social and financial burdens on patients. It is therefore essential that more research is held on MS in order to gain better insights into the disease . Hopefully enough, there are two such studies that come to raise the expectations of those who are somehow affected by the disease. The first one introduces stem cell transplants as a new approach of treating MS . A stem cell transplant is the injection or infusion of healthy stem cells into your body to replace damaged or diseased stem cells. Stem cell transplants can use cells from your own body (autologous), from a donor (allogeneic) or from an identical twin (syngeneic) . In phase II of this new study, held by Giovanni Mancardi, MD and his team at the University of Genova in Italy, autologous hematopoietic (blood) stem cell transplantation (HSCT) appeared to be more effective than the drug mitoxantrone for people with severe cases of MS. HSCT is a form of immune suppression but unlike standard immune-based drugs, autologous HSCT is designed to reset rather than suppress the immune system. More specifically, the patients who received the stem cell transplants appeared to have 80% fewer new areas of brain damage, called T2 lesions, than those who received mitoxantrone. In particular, the first ones showed an average of 2.5 new T2 lesions while the second showed eight new T2 lesions. As regards, another type of lesion associated with MS called gadolinium-enhancing lesions, none of the people who received the stem cell treatment had a new lesion throughout the course of the study, while 56 percent of those taking mitoxantrone had at least one new lesion . Positive findings are also present in the second study. Richard K. Burt, M.D., of the Northwestern University Feinberg School of Medicine in Chicago and his colleagues studied the association between non-myeloablative HSCT and neurological disability, as well as other clinical outcomes in patients with relapsing-remitting MS or secondary-progressive MS treated between 2003 and 2014. Outcome analysis was available for 145 patients with an average follow-up of 2.5 years. On a measure of disability (Expanded Disability Status Scale [EDSS] score), there was significant improvement in 50% of patients tested over the span of 2 years and in 64% of patients tested over the span of 4 years. What is remarkable is the author’s comments that to their knowledge that was the first report of significant and sustained improvement in the EDSS score following any treatment for MS . So, maybe it is the case that stem cell treatment has just come to the spotlight. According to the National Multiple Sclerosis Society, exciting progress is being made through innovative research, regarding some stem cells potential to both slow down MS disease activity and repair the damage to the nervous system. With such an urgent need for more effective treatments for MS, the potential of all types of cell therapies ought to be explored. The Society is currently supporting 15 research projects exploring various types of stem cells including cells derived from bone marrow, fat and skin, and has already supported 70 stem cell studies over the past 10 years . However, stem cells are not the only answer to multiple sclerosis. Researchers in Dublin have led an international study identifying a remarkable drug that may be able to block not only MS, but also many other major diseases, such as Alzheimer’s, rheumatoid arthritis and many other inflammatory conditions . The study has been recently published in the world’s leading preclinical medical journal Nature Medicine, where the international research team led by Trinity College and the University of Queensland Australia showed how the molecule MCC950 can suppress the ‘NLRP3 inflammasome’, an activator of the key process in inflammatory diseases . To sum up, despite the financial barriers for those people who are living with a rare disorder like MS, there are positive scientific results that could lead to a general cure. 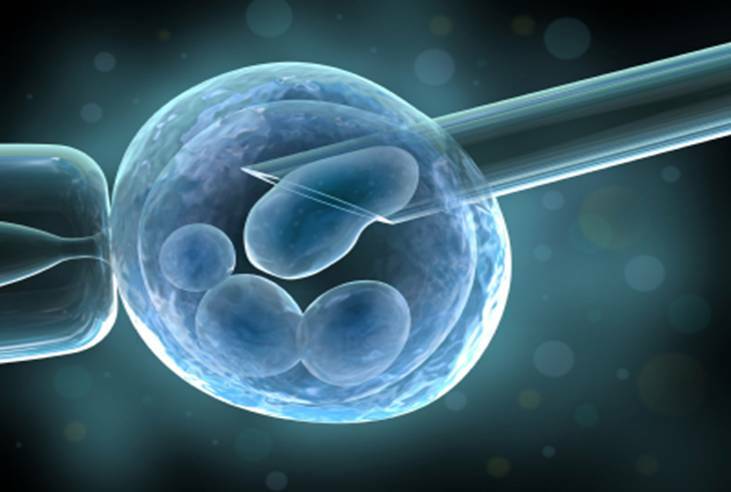 Especially, the use of stem cells has gained increasing attention over the last decade as testified by the hundreds of studies that emphasize in the value of stem cells on the treatment of various diseases [11, 12]. It goes without saying that further research is needed to discover the best possible treatments at a reasonable price. Besides, as more studies are conducted on the treatment of a disease, there will be produced more scientific results concerning possible therapies. Consequently, according to the laws of market, the increase of possible treatments could reduce the cost of drugs. Are stem cells the cure? We need more answers on that issue. What is certain is that stem cell-based therapy is an auspicious approach that holds great promise for the future of rare disease treatment and medicine in general. In order to achieve social justice and equality in health, it is essential that people are able to receive the appropriate treatment at an affordable price, because “yes, rare is still expensive”. Kevin A. Rocco, MS, Mark W. Maxfield, MD, Cameron A. Best, BA, Ethan W. Dean, MD, and Christopher K. Breuer, MD. “In Vivo Applications of Electrospun Tissue-Engineered Vascular Grafts: A Review”. TISSUE ENGINEERING: Part B Volume 20, Number 6, 2014. Fa-Ming Chen, Li-An Wu, Min Zhang, Rong Zhang, Hai-Hua Sun. “Homing of endogenous stem/progenitor cells for in situ tissue regeneration: Promises, strategies, and translational perspectives”. Biomaterials 32 (2011) 3189-3209. Artemis is a chemical engineer who is now following a MSc in nanoscience & nanotechnology in Aristotle University of Thessaloniki. She is pursuing a career as a researcher in the field of biomedical engineering and most specifically in the field of heart transplants. As for personal interests she likes reading books, watching movies and go dancing with friends!